Support for Mojave, including Dark Mode, Accent colors and other visual details, has been improved and tweaked. When the System theme is selected, the app will automatically follow the Dark Mode and Accent color settings of macOS. 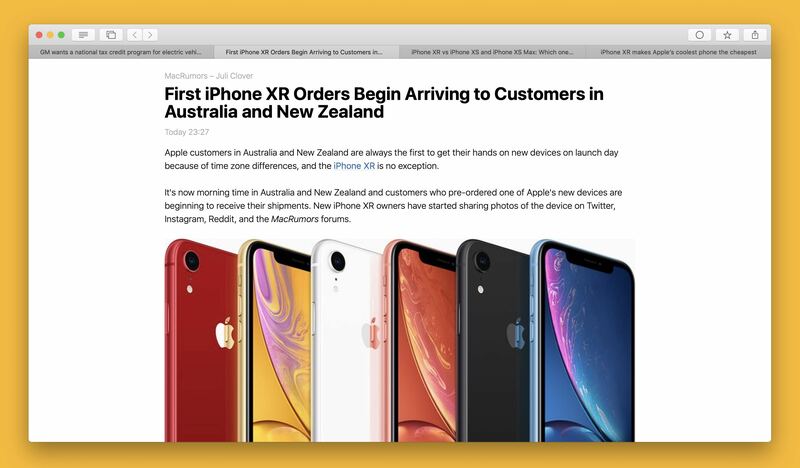 After loading images in the article viewer, the images are resized to max width if possible, or hidden when they are too small, like social media buttons or tracking images. The font list in the Reading settings has been extended with extra fonts. Added support for audio files in the Slideshow view. Some performance bottlenecks for managing the content of the sidebar and article list, have been solved. Implemented a temporary fix for the ‘Add to Reading List’ bug in Mojave. Solved a bug with using ‘Mark above as read’ while right-clicking on an item different from the current selected item. Moved settings for the internal web browser to a new tab named Security. Shortcut key for ‘Mark all as Read’ is now Command+D. Shortcut key for ‘Redownload’ is now Command+R. Fixed an issue with a missing navigation bar when navigating back from the article viewer. Fixed a truncated titles issue in the 'Search new feeds' dialog. The watchOS app now supports Dynamic Type. This means that the font size is now adjustable by using the system font size settings. The font size of the subscriptions list, article list and article viewer is now adjustable to a slightly larger size. This can be done in the News Explorer section of the App settings in the Settings app of tvOS. New option to download feeds as files before processing, which may help to retrieve news from slow responding feed sources. Only use this when you really need it, because it slows down the sync process. Solved a bug that resulted in redownloading JSON feed items after marking them previously as read. Added support for often used Wordpress drop cap styles.